Rappers spit a lot of falsehoods in their rhymes for entertainment that cause controversy. 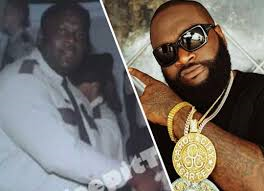 Such was the case when Miami rapper Rick Ross likened himself to Big Meech and Larry Hoover on his Blowing Money Fast music single. While the culture regarded the reference as legendary, members of the Hoover family regarded it as completely disrespectful. American crime figures such as Big Meech and Larry Hoover are often times glamorized by the Hip Hop community for their drug dealing histories but to the family of Larry Hoover the reference negatively impacted their mission to overcome the stigma attached to their name. The Hoover camp caught up with the self proclaimed Teflon Don during a trip to Chicago and explained why the name drop was an unwanted one. Ross maintained that his mention of Hoover was homage to Hoover whom he viewed a political prisoner. 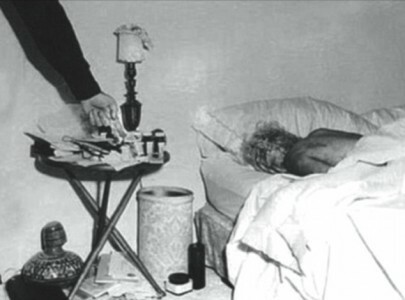 Hoover’s camp believe the name referenced alongside drugs and violence and continued to glorify the lifestyle that the former gang leader now denounces. Allen, just like Larry Hoover Jr. as well as Gator Bradley, were all taken aback by Ross’ reference. Most importantly, they felt that Ross brought up Hoover’s name out of context, linking with a lifestyle he no longer lives nor supports. Hoover has been incarcerated since 1973. He is currently held in Florence, Co under maximum security. This guy here smh!!! Every gang in America hates him. net, except I know I am getting knowledge every day by reading thes nice content. Thanks for sharing youur thoughts about best real. is something which not enough folks are speaking intelligently about. It’s amazing in favor of me to have a web site, which is good in support of my experience. kind of clever work and coverage! Keep up the fantastic works guys I’ve incorporated you guys to my blogroll. Loving this blog keep writing! I don’t think I’m Big Meech…I AM Big Meech, Larry Hoov-ah! money dont make the man….